The most important success factor of vendor management is to share information and priorities with your vendors. Establish a rhythm and agenda for mandatory meetings with the vendor. This does not need to be a face-to-face meeting because virtual meetings are now so easy to set up and use. Regular communications will ensure that both sets of priorities yours and the vendor’s) are understood and adhered to. The objective of the meetings should be to drive accountability and monitor performance. One of the goals in vendor management is to gain the commitment of your vendors to assist and support the business priorities that you have established and will be measured by. In turn, the vendor is expecting a certain level of commitment from your business too. This does not mean that you should blindly accept the prices they provide. Always get competitive bids. If a vendor supplies a key component/product or service to your operation, invite that vendor to strategic meetings that involve the product they are involved in. The purpose of hiring this vendor is because they were deemed as a critical supplier, and in that role, the vendor could make the product or service better and/or cheaper than you could. They are the experts in that area and you can tap into that expertise in order to give you a competitive advantage, particularly if they are participating in the meetings where key decisions are made and strategies are established. Be sure that you have an appropriate Non-Disclosure Agreement (NDA) in place before any meetings of this sort take place with the vendor. Vendor management seeks long-term relationships over short-term gains and marginal cost savings. Constantly changing vendors in order to save a penny here or there will cost more money in the long run and will impact quality. 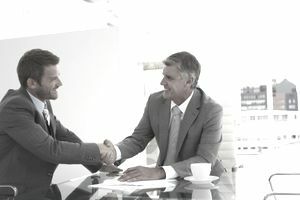 Other benefits of a long-term relationship include trust, preferential treatment, and longer-term shared accountability for the success of the business. The cost of switching vendors mid-stream is not only monetary but could also have broader consequences on the product lifecycle and the ability to stay on track with product launches and updates. The vendor that you chose is in business to be profitable, just as you are. Therefore, if you are constantly squeezing them to cut costs, then either quality will suffer or they will go out of business. A key component of vendor management is to contribute knowledge or resources that may help the vendor better serve you. Getting to know the vendors’ business and their business model for profitability will help you understand their side of the partnership and will build a better relationship between the two companies. Vendor management requires that negotiations are completed in good faith. Look for negotiation points that can help both sides accomplish their goals. A strong-arm negotiation tactic will only work for so long before one party walks away. Vendor management is more than getting the lowest price. Most often the lowest price also brings the lowest quality. As the saying goes: “you get what you pay for”. Be careful not to short-change the vendor by trading off quality as this could have a profound impact on your own business. The key is for both sides to align on what constitutes a good value. You should be willing to pay more in order to receive better quality. If the vendor is serious about the quality they deliver, they won't have a problem specifying the quality details in the contract. Read more about Vendor Management Best Practices here.